PRIOR TO TRAINING: Remember to bring your lunch and join us at Colleague Collaboration with David Swindall, LMFT, M. Div., from 12:30 pm - 1:30 pm! Registration opens at 1:45 PM ~ Training runs from 2:00 - 5:00 PM (Break at 4:00 PM). Interested in presenting at a SMHCA meeting? Fill out this presenter submission form. 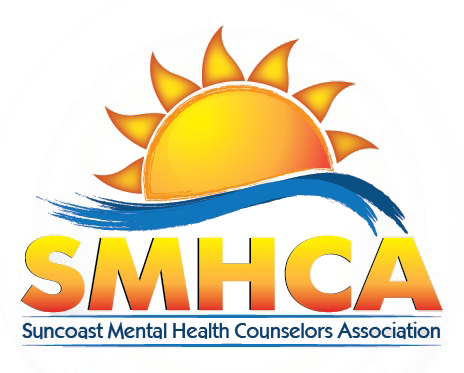 Suncoast Mental Health Counselors Association is a 501(c)3 non-profit organization.